The Spherion-Schulte Group, founded by Robert and Grace Schulte, has been providing quality recruiting and staffing services to Western Ohio businesses since 1962. 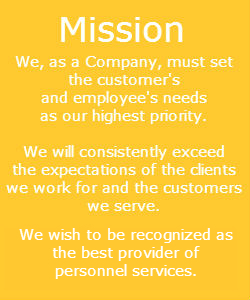 As locally-owned and operated company their focus and personalized approach to staffing has earned them a reputation of excellence among their customers and employees. 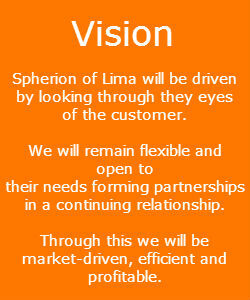 Our Spherion franchise, Spherion of Lima, Inc., is one of the largest in the Spherion Corporation. Our highly respected franchise has the experienced personnel to provide you with high quality temporary, temp-to-hire and direct-hire/professional employees. 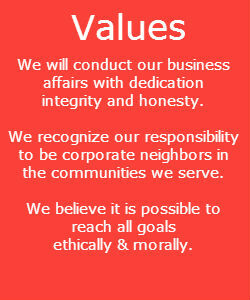 About Spherion Corporate: Founded in 1946, Spherion® Staffing Services, is a recognized leader in workforce solutions. Annually, Spherion connects more than 160,000 talented individuals to companies seeking their unique skills – from light industrial and manufacturing, to administrative and clerical staff on a flexible, temp-to-hire and direct hire basis. 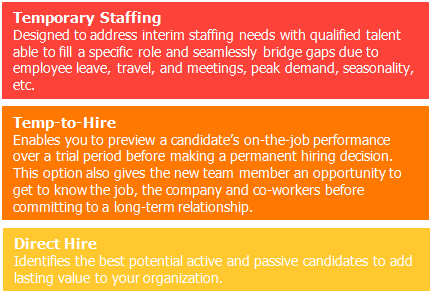 Put the resources of a national staffing leader with a local focus to work for you!